"Social Media supersedes email!" "Facebook and Google+ will be the doom of email marketing!" Statements such as these were prevalent just a few years ago. But did they come true? Different studies published by Forrester Research and McKinsey&Company, among others, prove that the exact opposite is the case. Surveys conducted in the USA confirm that adults prefer subscribing to a newsletter to connecting to a company via Facebook. 91 % of all US citizens use email daily. How does this behavior effect sales? Experts estimate that the chance of a single email is three times as likely to result in a sale as a post on a social network site. The average order value generated by emails is 17 % higher than that of social media. The delivery rates speak for themselves: emails reach more than 90 % of their addressees - Facebook posts a meager 2 %. The reason: social networks decide which content will be shown to their users. This means that a company’s post simply will not reach most users. Official sources confirm that the visibility of advertising-oriented posts have been further reduced from January 2015 on. Of course, you can always book ads - or simply continue using a trusted marketing channel: email marketing. Tailor each email to each customer instead of using generic standard emails. Utilize the information you already have: Address your customers by name. Send out special offers matching the customer’s interests (simply base them on their order history). Quick Parts and flexible placeholders will help you create the perfect email. Aim for quality rather than quantity. Send out one perfect newsletter every three months instead of two rush jobs per week. Don’t spam your customers. Regard the link to your page as the start of a customer’s journey, not the end of it. Send your recipient to landing pages promoting the product mentioned in your newsletter. Remember the mobile users. Nearly 45 % of all emails are read on mobile devices. Is your website optimized for them? Track successes, learn from flops. Never start an email campaign without a way to track customer reactions! Which links are clicked the most? Which offers were ignored by email recipients? SmartSerialMail works hand in hand with your tracking software and enables you to focus your efforts. Should you abandon social media entirely? No. Use it, but do not turn it into the focus of your marketing activities. Start by sharing the link to your newsletter subscription on Facebook and turn the occasional fan into a loyal reader. 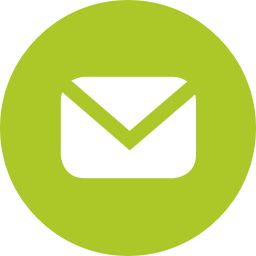 Effective email marketing in action: Easily create and send newsletters with SmartSerialMail.